Front-wheel drive and a heavy-duty construct to support up to 600 lbs. The P183 folding power chair can support up to 700 lbs. 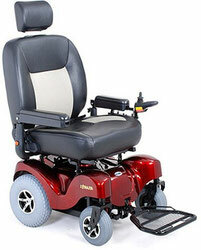 For long lasting power and durability, the Atlantis is the power chair for you. 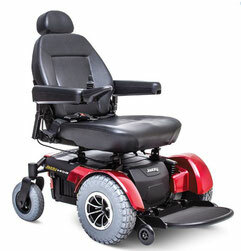 The P182 folding power chair is able to support up to 600 lbs. 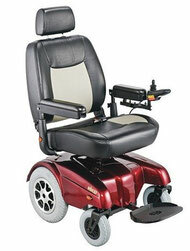 The Gemini is all about comfort with its 22" wide foam captain seat.